Use your web browser's search function to locate programs of interest. You can usually find this under the Edit Menu at the top of the screen. Put in a term of interest and see what you can find. This function will try to match any word that is on this web page. Searching for a high quality, highly regarded, graduate nursing program in the northeast? 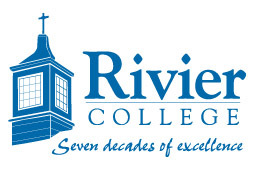 Rivier College in Nashua New Hampshire is the perfect choice. Rivier's program prepares students to meet the rapidly changing demands of the healthcare environment. Rivier continually builds on its strengths, offering programs that provide students with individual attention, quality education, and numerous opportunities for practical experience. Graduates of both the Family Nurse Practitioner (FNP) track and the Nursing Education (NE) track assume leadership roles in diverse settings, including community health centers, ambulatory care facilities, acute care institutions and educational organizations. The FNP track is a 43-credit opportunity which can be completed on a full or part-time basis ranging from two to five years in length. Upon completion, FNP graduates are qualified to sit for national certification. Of note, Rivier graduates have achieved a 100% pass rate on the American Nurses Credentialing Center (ANCC) certification examination for the last three years. Our newly revised NE track requires 36 credits and can also be completed on a full or part-time basis ranging from two to five years in length. This is a highly sought after program, especially in light of the nursing faculty shortage. Graduates of the NE track are prepared to sit for national certification through the National League for Nursing (NLN) once they have met the requisite work experience requirements. Rivier College has the only nursing program in the state of New Hampshire offering National League for Nursing Accrediting Commission (NLNAC) accredited programs at three levels: associate's, bachelor's and master's. This designation means that all of Rivier's nursing programs meet or exceed rigorous standards and criteria for educational quality within the profession. NLNAC accreditation is recognized by the U.S. Department of Education as the accrediting body for all types of nursing education. For more information, please visit our web site at www.rivier.edu or contact Dr. Susan Murphy, Program Director, at 603-897-8528. 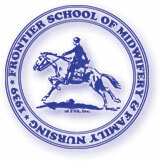 The Frontier School of Midwifery and Family Nursing (FSMFN) has been educating midwives and nurse practitioners for over 60 years. Its innovative community-based graduate programs enable registered nurses to earn their master’s degrees and advance in exciting health care professions. All tracks offer a strong academic and clinical basis as well as a unique emphasis - providing a strong foundation in understanding the business of primary care. In the Community-based Family Nurse Practitioner Program (CFNP), this includes assessing a community to discover the primary care needs, how to develop a plan for having a fiscally viable practice and working within the license and insurance regulations of your state. The Community-based Nurse-midwifery Education Program (CNEP) educates students not only to be nurse-midwives but to be entrepreneurs with its focus on how to develop a Birth Center, community assessment and the business issues of becoming a nurse-midwife. Women’s health, across the lifespan, is a strong component of both programs. The CFNP curriculum has a strong academic and clinical basis. In addition, the CFNP curriculum is unique in providing a strong foundation in understanding the business of primary care. This includes assessing a community to discover the primary care needs, learning how to develop a plan for having a fiscally viable practice, and working within the license and insurance regulations of the student?s state. Women’s health, including care of the childbearing woman, is a strong component of the program. The Master of Science in Nursing (MSN) degree and a post-master?s certificate are offered in the family nurse practitioner specialty track. The Frontier School recognizes that students learn at different rates and with different styles. The MSN curriculum is designed in a modular format that students can complete in their communities and at their own pace. The faculty also recognizes that your life does not occur inside the boundaries of preset 4-month time-frames. Students set their own timelines within the School’s broad parameters. You are given the support that allows you to complete the program in a timely manner depending on your specific needs. The faculty also provides you with guidance via computer forums, e-mail and phone. Support, explanations and information are as close as your computer and phone line. We also foster interaction with the school community through our web-based communications portal, which processes over 2000 messages daily. Many assignments are designed to encourage interaction from within the community in which you live. Clinical preceptors are also sought within the student’s own community whenever possible, allowing students to learn in their home area. We have over 600 preceptor sites across the United States with more added on a regular basis. Frontier School of Midwifery & Family Nursing (FSMFN) is accredited by the Commission on Colleges of the Southern Association of Colleges and Schools (1866 Southern Lane, Decatur, GA 30033-4097; Tel: 404-679-4501) to award masters degrees and doctoral degrees. FSMFN is licensed by the Commonwealth of Kentucky Council of Postsecondary Education (1024 Capital Center Drive, Suite 320, Frankfort, KY 40601; Tel: 502-573-1555) to offer a Doctor of Nursing Practice degree and both certificates and a Master of Science in Nursing (MSN) for nurse-midwifery, family nurse practitioner, and women?’s health care nurse practitioner specialties. FSMFN is institutionally accredited by the Accreditation Commission for Midwifery Education (ACME). The nurse-midwifery post-masters certificate program and master?s program are fully accredited by ACME, 8403 Colesville Road, Suite 1550, Silver Spring, MD 20910-6374, (240) 485-1800. If you are interested in any of these programs and would like to find out more, please Request information from Frontier School of Midwifery and Family Nursing. Undergraduate: One year accelerated RN to Bachelor's, Basic Baccalaureate. E-mail: Philip.Tarantino@sunysb.edu, Call: 631.444.3200, Fax: 631.444.6628, Web site: http://www.Nursing.stonybrook.edu. An affirmative action/equal opportunity educator. Earn a minor or post-master's certificate with just 12 credits. The Graduate Programs in the Department of Nursing exemplify the tradition of excellence in nursing education, practice, and research at Jefferson. The challenging curricula and outstanding faculty assist students to identify professional career goals and institute strategies to meet those goals. Most of our graduate students are working professionals with busy lifestyles and multiples roles. Therefore, a part-time plan of study is available as well as full-time study. Courses are available in-class and online. The curriculum is predicated on the Department of Nursing's belief that professional nursing is an art and a science incorporating theory, research and clinical practice. The curriculum is organized using a core curriculum concept. All students enrolled in the M.S.N. program share a core curriculum. All specialty areas require 36 credits. Full-time students can complete the course of study in 15 months beginning in summer semester. Part-time options, designed for the working professional nurse, enable students to take up to five years to complete the program. Courses are available via the Internet. The purpose of the Pediatric Advanced Practice Nurse track is to prepare graduates in the care of children and their families. For over thirty years advanced practice nurses have been valuable members of the health care team. Pediatric advanced practice nurses are in clinical practice, school-based health, home health, public health, acute and long-term care settings have been extremely effective in providing health care to a large segment of the pediatric population. The track prepares students to manage the direct care of infants and children, and incorporate the various roles associated with advanced nursing practice in a variety of care setting. Upon completion of the Pediatric Advanced Practice Nurse track, students are eligible for Pediatric Nurse Practitioner and/or Clinical Nurse Specialist certification through the American Nurses' Association and the National Certification Board of Pediatric Nurse Practitioners and Nurses.